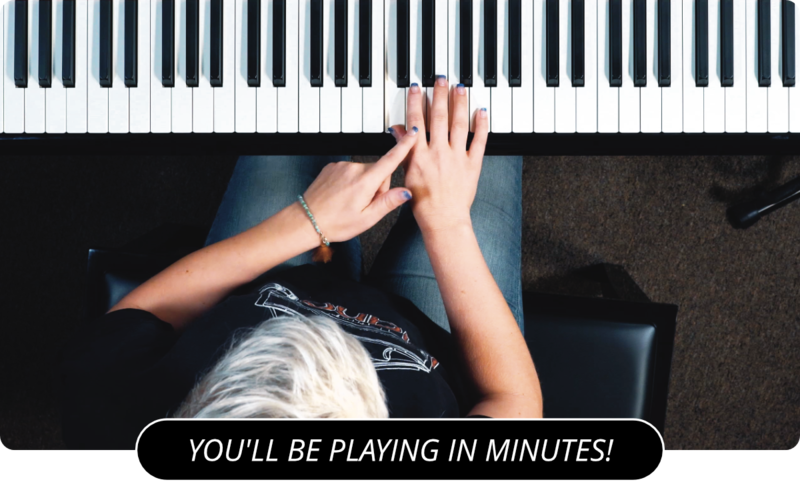 Learn How To Play '1000 Miles' by Vanessa Carlton On Piano! This is a relatively simple song in the key of B, but it does take practice to play it at speed. The left hand pretty much plays the same three notes for much of the song. The three notes of the left hand are E F# and D#. Those three notes make a little riff, which you'll hear when you listen to me (or Vanessa) play it. The right hand intro for the song is a simple riff based on rocking back and forth between the B and the B octave. Sandwiched in between these octave jumps are a few notes based on the B major scale. Watch me play to see the notes, or listen to Vanessa play, and see if you can pick out the notes with your ear. We've done a lot of ear training on simple melodies in previous lessons, and this is a great opportunity to take that one step further. When the song gets to the verse, she pretty much plays the same melody, and left hand riff pattern, except she stops the rocking motion between the B and the B octave. The result is a sound that is very similar to the intro, but less busy and more sparse. The chorus is simple comparatively to what we've been doing. She basically just plays three chords, E, G# minor, and F#. She plays the E and the G# minor each three times quickly then ends with an F# chord held longer. Do that three times, listening to me or the recording for the proper timing. After those three times the song goes back into the same chords we've been playing. Watch Nate perform the full 1000 Miles song here!